Only if a control signal displayed WALK before the pedestrian started crossing. Only if a control signal displays WALK or a walking person. Only if you have already stopped. With 10 mph on roads where speed limit is 45 mph or higher. If the other vehicle is traveling at the legal speed limit. If you cannot complete the pass before a no passing zone. From a one-way street onto a one-way street. From any street onto a one-way street. From a one-way street onto any street. You are not required to use your seat belt. Only passengers in the back seat must use their seat belts. You must also use your seat belt. Only passengers under 18 must use their seat belts. Allowed as long as no train is coming. Allowed as long as no sign prohibits U-turns. 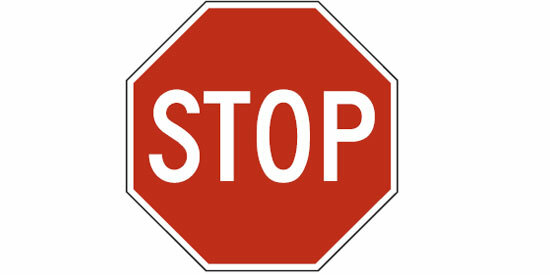 Traffic is permitted to pass on either side of a traffic island or an obstruction. 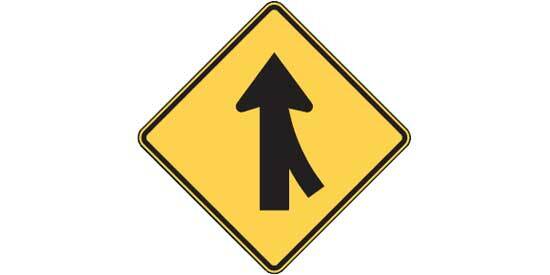 Other traffic lanes come together with your lane. Warn other traffic by standing behind your vehicle. Immediately move injured people out of the traffic lane. 8. What does this Directional Arrow mark? The direction in a roundabout. End of a central median. From either direction on a divided highway. Only if the bus is traveling in the same direction. 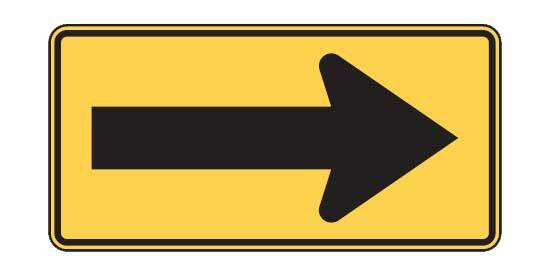 From either direction on an undivided roadway with two lanes. 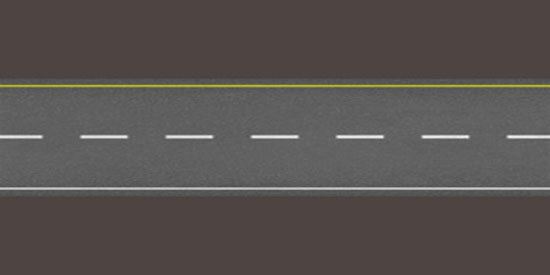 Check blind spots to make sure the lane is clear. Adjust the inside rearview mirror. Fines of up to $1,000 and imprisonment for up to 90 days. Fines of up to $2,000 and imprisonment for up to one year. 12. When are broken white lines used as pavement marking between lanes? When changing lanes is prohibited. When traffic is flowing in opposite directions. When changing lane is permitted. 14. What is a SR-22? You don't have room to completely cross the tracks. The crossing is located in an area with frequent train traffic. 19. Five or more vehicles are following you closely on a two-lane highway where passing is unsafe. You see this sign. What should you do? Slow down and be prepared to turn around. 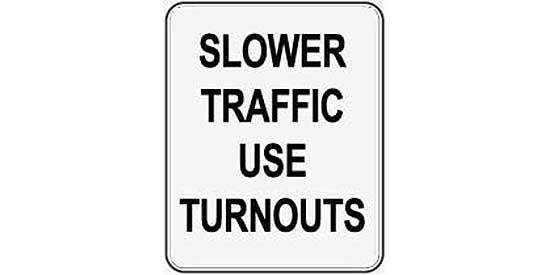 Drive to the side of the road into the turnout area. Slow down and watch for vehicles entering the road. Sides of the pickup bed is at least 24 inches high. The person is seated in a seat and uses a safety belt. Applies only to drivers under 21 years. Applies to all alcohol drinks, except beer. Requires any open bottles or containers with alcohol to be in the trunk. Move up beside the bicyclist. Drive close to the back so you can see the truck's turn signals. Drive close to the trucks right side. Look for the truck driver's side view mirrors. 25. Which of the following is one primary factor affecting your blood alcohol concentration (BAC)? Kind of alcoholic beverage you drink. Kind of food you eat with your drink. Hand the officer your license as soon as he approaches. Exit and place hands on top of your vehicle. 27. When two vehicles from different directions arrive at the same time at a four-way stop, which one must yield? The vehicle that is traveling faster. The vehicle that is bigger. The vehicle approaching from the right. The vehicle approaching from the left. Not proceed until there is a green light. Not turn at this intersection. Use your horn if the way is not clear. 29. When are you allowed to park your vehicle on a crosswalk? Between 6 p.m. and 6 a.m. in residential areas. 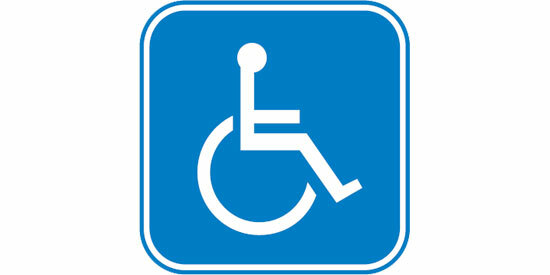 When you display disabled person plates or placards. When parked for less than 20 minutes. Turn on your interior light. Keep your eyes focused on the right side of the road. 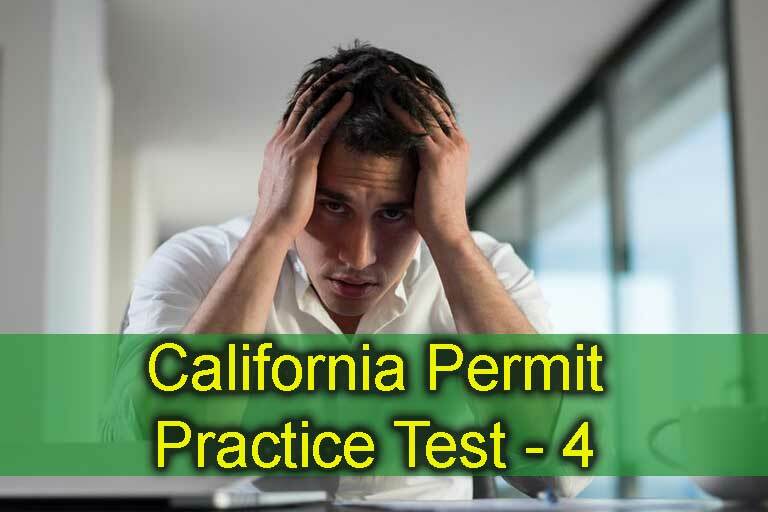 California Permit Test - 4 You got %%score%% correct answers of %%total%%. %%details%%. Just like previous California DMV permit tests, this one has 30 essential permit questions from the DMV driving test. It is designed to help you prepare and keep track of your progress as you study the Driver Handbook. With practice tests that are slightly more challenging, you can improve your test-taking â€œenduranceâ€. You may also learn how to pace yourself and read everything more carefully. It is commonly known that applicants who fail their first examination attempt, do so because they misunderstand questions or rush through the test too quickly. One simple mistake at the beginning of the test can make you feel like you want to give up. To succeed, you must break through the discouragement and just carry on. If you have studied the handbook and scored 90% or more on the practice tests, you should know most of the answers. One mistake isn’t the end of it. Not even two mistakes. Remind yourself of your strengths and try to visualize the end result, your learner’s permit or full driver’s license. A visualization of what you want to accomplish will keep you moving forward. Don’t look for the exact questions or answers that may show up on your test. Even if they can be found in these tests, you should read everything critically and try to learn. Ask yourself questions like how and why. Discuss rules, laws, and safe driving with others. It will help true learning. Research shows that testing is very effective when you want to learn for life, rather than just the immediate permit exam. Use the practice tests wisely. Permit questions and explanations give you feedback on how you are doing and how close you are to reaching your goal. Make sure you read the little feedback snippets after each question. If you don’t understand a question, go back to the driver handbook or find an experienced driver to ask. The California DMV exam has different number of questions, depending on your age and the kind of test you are taking. The passing score is 83% for all tests. Set the goal for your permit practice test to at least 90%. You should answer at least 27 out of the 30 permit questions correctly. Be the first to comment on "Permit Practice – 30 Permit Questions #4"